We are proud to receive the annual Award for Leadership in Social and Environmental Responsibility. SOURCE CEO Yoki Gil receive the 2011 Green Globe Award. 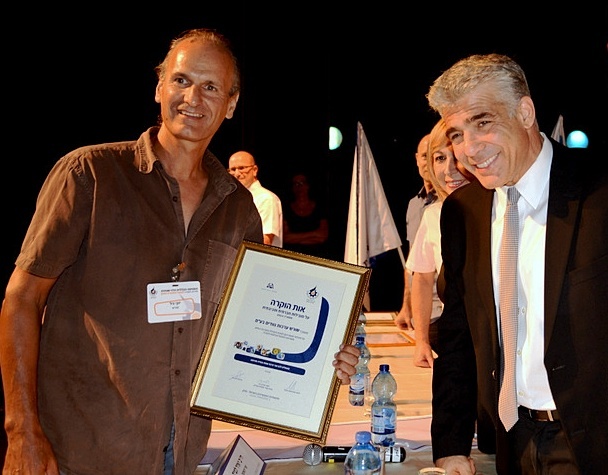 The star studded event, attracting local celebrities from Tel Aviv Mayor Ron Huldai, to Knesset members, Israeli business stars, media celebrities, and leaders from various environmental organizations, recognized Mr. Gil for his outstanding achievements in environmental activities.